If you are visiting India, it's foolish not to go to Rajasthan. This package offers the best places to tour in India, with a special emphasis on the favourite Rajasthan destinations. This tour also includes the special destinations -Delhi and Agra, and thus completing the Golden triangle. 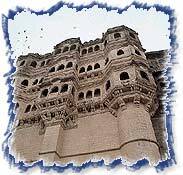 However, the weight is on Rajasthan, its beauty, glamour and the breathtaking palaces and Havelis. Besides, the desert calls for a special attention and the colourful culture of the state entices the longing soul of every tourist. Arrive at the airport. Meet and assist at the Airport then transfer to the hotel for overnight stay. After breakfast sightseeing tour visiting the Raj Ghat (Cremation site of Mahatma Gandhi), Red Fort, Jama Masjid, Qutub Minar & India Gate (War Memorial). Drive past President House & Parliament House. Later drive to Agra i.e. 203 kms or 04 hrs drive. Upon arrival transfer to Hotel for overnight stay. After breakfast city tour of Agra visiting the world famous Taj Mahal, Agra Fort and Itmad-ud-Daula. Later drive to Jaipur. En-route visiting the unique deserted Mughal City of Fatehpur Sikri still in excellent state of preservation. Upon arrival transfer to the hotel. Evening is free for leisure. Overnight stay in the hotel. After breakfast drive to Mandawa i.e. 167 kms or 04 hrs drive. Upon arrival transfer to hotel. Afternoon enjoy the picturesque view of the desert stare. Overnight stay in the hotel. After breakfast drive to Bikaner i.e. 164 kms or 03 hrs drive. Upon arrival transfer to hotel. Afternoon sightseeing tour includes visit to the historic Junagarh Fort, Bikaner Palace and the Golden Jubilee Museum, Overnight stay in the hotel. After breakfast drive to Jaisalmer i.e. 333 kms or 07 hrs drive. 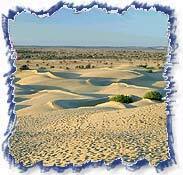 Drive through the Thar Desert to arrive at Jaisalmer late in the evening. Upon arrival transfer to hotel. Overnight stay in the hotel. Drive Jaisalmer to Jodhpur, 326 kms and 07 hrs, Enroute visit the Osian Temples. Upon arrival transfer to the hotel for overnight stay. Full day sightseeing tour of Jodhpur which includes visit to the Mehrangarh Fort, Mahamandir Temple, Jaswant Tada, Clock Tower and Mandore Garden. Overnight stay in the hotel. Drive Jodhpur to Udaipur which is 259 kms. & approx. 06 hrs, Enroute visit to the Ranakpur temples. Upon arrival transfer to the hotel for overnight stay. Full day sightseeing tour of Udaipur city with visit to the Moti Mahal, Bandal Mahal, Manak Mahal, Dilkush temple, Fateh Sagar, Udai Sagar and the Lake Pichola- the Three Fairy Tale lakes of Udaipur also visit Island palace of Jag Mandir. Overnight in Udaipur. From Udaipur connect flight for Mumbai / Delhi. to catch the flight for onward destination.